A bomb in Rome, a flash of bluish-white, and photojournalist Josh Ryder’s world explodes. As Josh recovers, thoughts that have the emotion, the intensity, the intimacy of memories invade him. But they are not his. They are ancient…and violent with an urgency he cannot ignore–pulling him to save Sabina…and the treasures she protects. But who is Sabina? 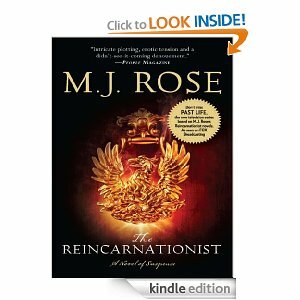 Desperate for answers, Josh turns to the Phoenix Foundation–a research facility that scientifically documents past-life experiences. He is led to an archaeological dig and to Professor Gabriella Chase,who has discovered an ancient, powerful secret that threatens to merge the past with the present. Here, the dead call out to the living, and murders of the past become murders of the present. Haunted by his inability to stop the murder of a beautiful young painter twenty years ago, Lucian Glass keeps his demons at bay through his fascinating work with the FBI’s Art Crime Team. Investigating a crazed collector who’s begun destroying prized masterworks, Glass is thrust into a bizarre hostage negotiation that takes him undercover at the Phoenix Foundation—dedicated to the science of past-life study. There, to maintain his cover, he submits to the treatment of a hypnotist. 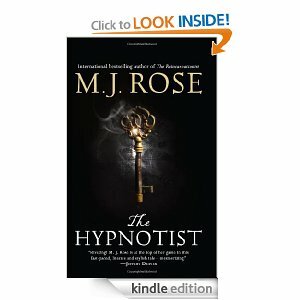 Under hypnosis, Glass travels from ancient Greece to nineteenth-century Persia, while the case takes him from New York to Paris and the movie while the case takes him from New York to Paris and the movie capital of the world. These journeys will change his very understanding of reality, lead him to question his own sanity and land him at the center of perhaps the most audacious art heist in history: a fifteen-hundred-year-old sculpture the nation of Iran will do anything to recover. I would like to convey my admiration for your kind-heartedness in support of people who should have help on this important theme. Your very own commitment to getting the solution along had been particularly functional and has in every case enabled others just like me to get to their goals. Your helpful instruction entails so much a person like me and especially to my office workers. Thank you; from all of us. Thanks for sharing superb informations. Your web-site is so cool. I’m impressed by the details that you’ve on this web site. It reveals how nicely you perceive this subject. Bookmarked this website page, will come back for more articles. You, my friend, ROCK! I found just the information I already searched everywhere and just could not come across. What a great website. These look great! Would love to win! Thanks! The story takes place in such amazing places especially book #3. Ancient Greece and Persia sounds appealing. This sounds like like a great series. Would love to read these. Love to read these suspenseful thrillers. Both books sound just wonderful. I love Rose's books, but haven't had a chance to read either one of these. I would enjoy winning either one. Please enter me. Thanks! Both books look amazing. Yes please!! I guess I should begin with book #1, but I would not say no to book #3.